I hope you all have made plans to join us tomorrow evening for the IBPO Fall Social at Times Ten Wine Cellars. We will have a presentation featuring experts who will discuss the differences between the ACT and SAT exams. This will be valuable information as you help your child prepare for the college application process. Remember, this process starts much earlier than most people realize so we are proud to be able to bring this information to our IB community. For more details about the event and to RSVP, please visit the IBPO website. We're looking forward to a fun, informative evening! We have recently started the registration process for the IB exams that will be held in May. I talked with all of the seniors last week and visited with the juniors yesterday. We talked about HL vs. SL exams and we considered how to maximize the students' strengths when deciding which exams to take at each level. This is similar to the information that we discussed at the fall IB Parent Meeting. If you have any questions about this process, please let me know. As a reminder, students must be in attendance for all IB exams in May. There are no make-up exams in IB. Please note the exam schedule so that you can avoid planning any appointments for your child during that time. Homecoming week is quickly approaching! This is always a special week for the students. For information about Homecoming 2018, including information about how you can become a sponsor, please see the links for information from the PTA. The funds raised are utilized to serve all teachers and students at Woodrow and your participation is very much appreciated! 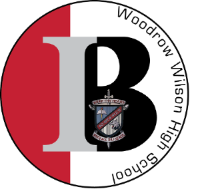 This school year began my 6th year as IB Coordinator here at Woodrow. I often think about those first students and how far we have come since that time. This Diploma Program has grown by 216% since fall of 2013. We have had a waiting list for the freshman class every year for the last three years. When I attend my Texas IB Schools Coordinator meetings, the other coordinators are in awe of what we have done here in a short time. I tell everyone that the only reason any of this success is possible is because of the unwavering parent support. Your love, your encouragement, your generosity, your advocacy, and your belief in our mission has been critical to what we have been able to accomplish. To simply say, "thank you," is wholly inadequate to express my gratitude for what you do for this program but I hope you know how valued you truly are and how much your involvement means for our continued growth and success.